Images: Official site on this link. 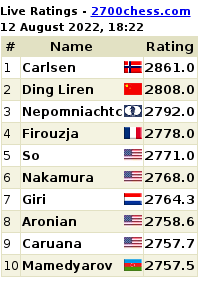 I’m glad about one thing: Aronian didn’t win. I was hoping that Kramnik would win, but a draw is good enough, for now. 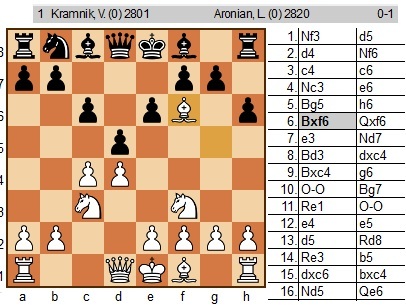 I’ve been looking at the openings of the games played by Kramnik and Aronian, as I missed their games and could only follow game 6 on Saturday. It was interesting to see that both players did what I like to do – to capture my opponent’s Knight, as soon as I can. Well, maybe it was just them in these games, I can’t really say that’s how they always play. I love to keep my Knights for their unusual moves and that can come in very handy, especially with forks. 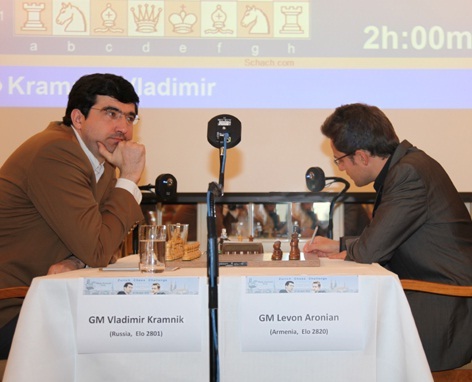 Maybe in game 6 Kramnik decided with his Knight-move [move 7] that Aronian shouldn’t have his Knight – this time. When I played through their games, I found Game 3 quite a weird game! Some weird moves for Chess Grandmasters! [hehe] Maybe they were having fun. You can click on the images for a larger view. On this link HERE you can play through their games. This is the rapid game. Is it just ‘me’? Is this really a ‘great’ move? 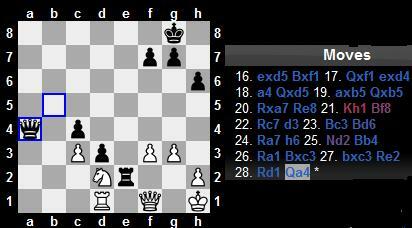 Aronian brought his Rook down to e1. He captures white’s Rook on a1. White moves his Bishop to d4. This is my question. 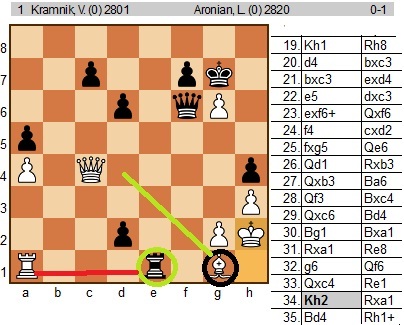 Why did Aronian not see that move a few moves ahead. The King is pinned …with his Queen. – Is there a very good reason why he moved like he [Aronian] did. Why did he leave his King pinned? 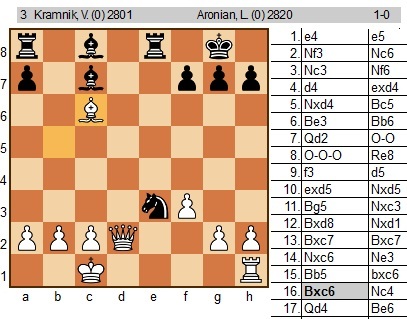 Why did Aronian not capture the Pawn on g6? Do I miss something? Kasparov comes from Moscow to South Africa on 12 November to form a joint venture with Tshwane/Pretoria based chess educational project Moves for Life (MFL). 13th Chess World Champion, Garry Kasparov, has announced that he wishes to link his Kasparov Chess Foundation to MFL to take the successful MFL formula to other African countries. Kasparov will be visiting South Africa as the guest of MFL from the 12th – 15th November to promote the Kasparov Chess Foundation link up with the Moves for Life programme. Moves for Life is now training over 6000 children per week and has trained more than 200 educators in 2011 both to teach chess in schools and also as an extra-curricular activity.. 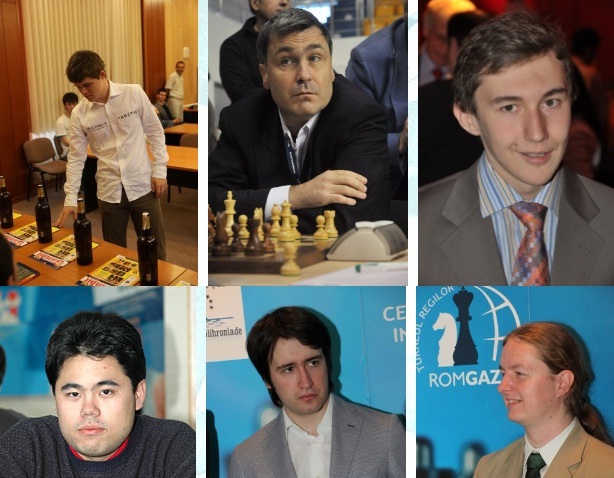 According to Kasparov, “The Moves for Life programme is already doing a wonderful job and we expect to cooperate and aid them in developing both their chess and sponsorship efforts. To promote our activities, chess in the media, and to inspire the grassroots, I will personally donate my time, to train South Africa’s most promising young players as well as the country’s elite teams, as I have done in the United States with great success. The mission of the Kasparov Chess Foundation: Africa will be to bring the many educational benefits of chess to children throughout Africa by providing a complete chess curriculum with associated enrichment programs. 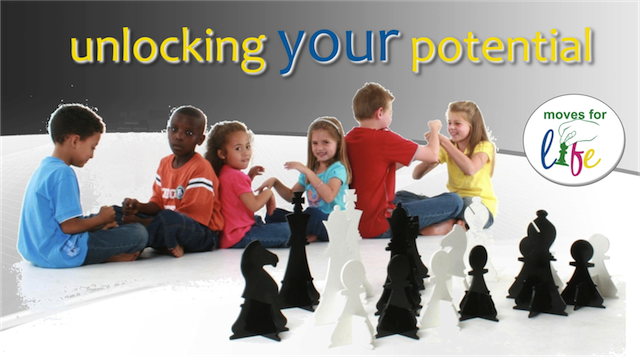 The foundation promotes the playing of chess as a cognitive learning tool in classes and in after-school programmes for primary and high schools. The Moves for Life programme has both the South African experience as well as the material developed uniquely for the African situation. Through collaboration both KCF and MFL will be able to optimise all available resources and reach their respective goals. 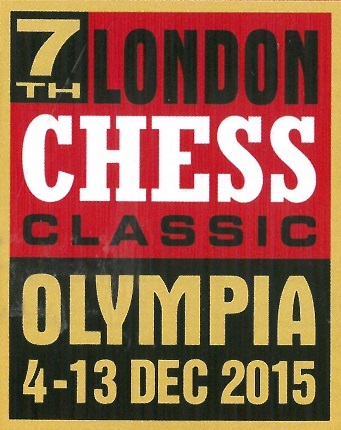 “Chess is an individual sport, but promoting chess is not. With your support, Johannesburg will take a prominent place alongside New York, Brussels and Sao Paulo,” says Kasparov. In June this year the Kasparov Chess Foundation launched its European leg, based in Brussels. The Foundation has ambitious plans to develop a programme for the entire European Union. On September 20th, the Kasparov Chess Foundation Europe presented its proposal at the Headquarters of the European Union. Was really disappointed when reading on CHESSA’s site about MFL, Kasparov, etc. I agree, MFL is a PRIVATE company and HERE is Dr Kemm, one of the 5 trustees of MFL and hopefully he will do something to get CHESSA also involved in this important visit – a visit our Chess players look forward to. This is a visit that happens only ONCE in a life time and Chess South Africa is not even fully involved! MFL: You CAN do something about it. If you are interested to read Mickey’s reaction as a MFL-trustee – you can read his comments in the comments box. It’s sad to know that MFL actually contacted CHESSA and that CHESSA asked MFL to cancel Kasparov’s visit. I think CHESSA needs to ‘grow up’ and show that they are there for the Chess community in South Africa and that they are serious about developing Chess in South Africa. 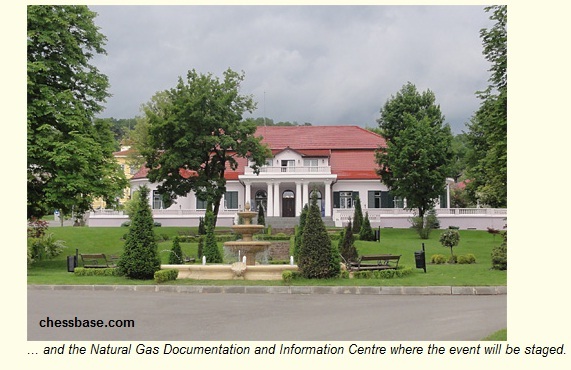 CHESSA’s article is misleading the general public about their role in Kasparov’s visit. CHESSA is obviously not thinking about their international image. It’s time for another big tournament – starting on a very special day! If you’re not sure who these ‘Kings’ are, click the Official site-link here. I might not have time blogging their games, but will follow the results of the rounds. This tournament takes place in Medias, Romania from 11-22 June. Click HERE to go to their games – live. Click HERE to play through the games of round 1. Here’s the evidence: Two adult tickets – 11th December 2010. 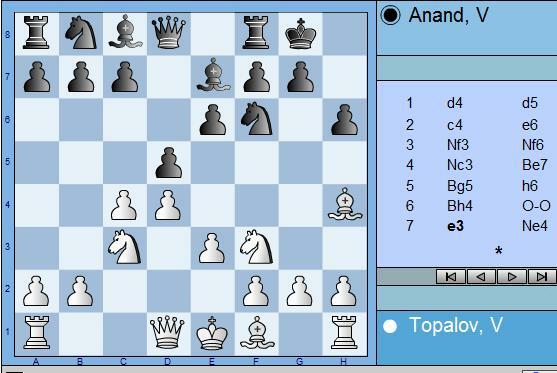 Anand, the moment of truth…and yes, this will be my second too. Watch this space for the photos…[click the image for a larger view] Anand is my favourite and I do look forward to seeing him in action. Edit: Sadly, I couldn’t attend the event due to illness! Viswanathan Anand became the undisputed world chess champion in 2007 and has since defended the title twice in matches with Vladimir Kramnik in 2008 and Veselin Topalov in 2010. In an age when more and more players are playing professional chess, with infinitely more sophisticated training resources and information available to them, his achievement in defending the top spot from all comers is as impressive as any of the successes of his championship predecessors. Vishy, as he is affectionately known to colleagues and fans, is a hero in his native India, putting him on a par with the nation’s top cricketers. From Tamil Nadu, he was taught the game by his mother when he was six and made rapid progress. His intuitive sight of the board and super-fast speed on the move marked him out as a future champion from his mid-teens. He became national champion in 1985, world junior champion in 1987 and a grandmaster in 1988. Anand joined the chess super-elite in the early 1990s and he qualified to play Garry Kasparov in the PCA World Championship of 1995. Against all the odds he took the lead in the match in the ninth game but eventually ran out the loser by 7½-10½. 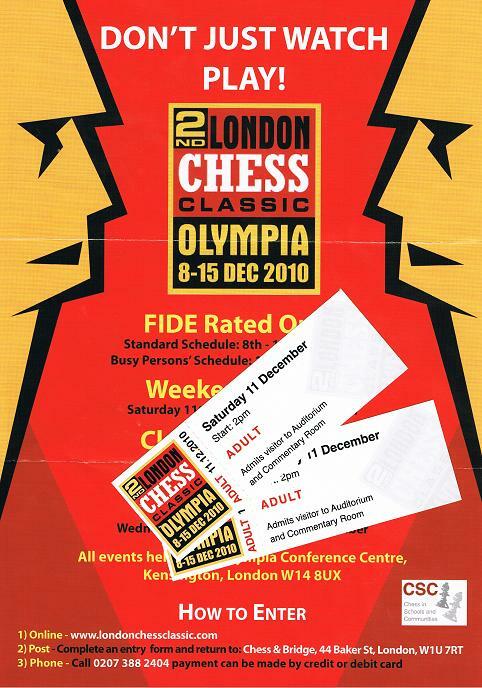 Vishy pursued the FIDE version of the title and had a near miss in 1999 against Anatoly Karpov despite some unfortunate tournament scheduling which required him to play the final match immediately after a gruelling qualification event. 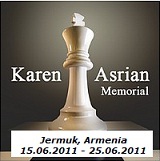 In 2000 he won the FIDE version of the title in Tehran and held it until 2002. 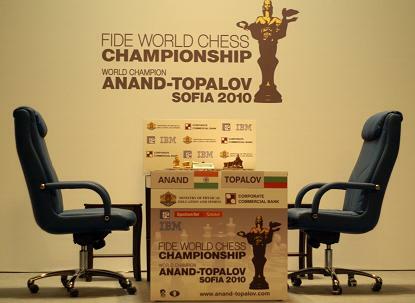 Following the reunification of the chess world championship in 2006, Anand won a world championship match-tournament in 2007 ahead of the reigning world champion Vladimir Kramnik. Though the latter graciously ceded all claim on the title to his rival, many purists amongst pundits and fans longed to see the championship decided under traditional matchplay rules. 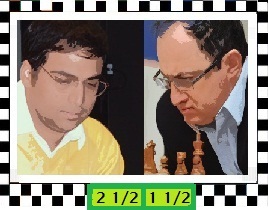 Their wish was granted in 2008 when Anand and Kramnik played a match in Bonn. The Indian made no mistake, defeating his Russian opponent fair and square, and thus becoming only the second world champion ever to have won the world title in both tournament and match formats. 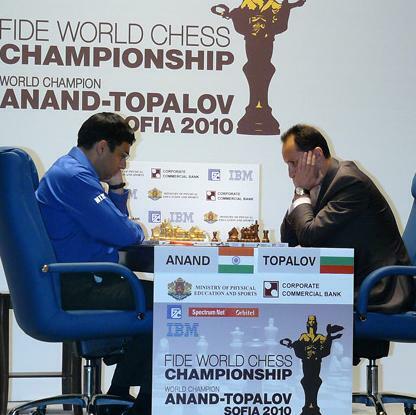 Anand duly defended his title in a match in 2010 against world number two Veselin Topalov, on his opponent’s home ground in Bulgaria. His next challenge is due in 2012, when it is hoped that the match will be played in London. Some past world champions have become known to the general public for their off-board eccentricities and personal rivalries but not so Viswanathan Anand. Throughout his career he has shown himself to be the perfect Indian gentleman who dispels attempts to provoke or upset him with a disarming smile. Indeed, one of the major difficulties facing his rivals is that he is simply impossible to dislike! For example, when preparing for his 2010 world title match, his behind-the-scenes assistants included the previous champion Vladimir Kramnik, whom Anand had defeated two years earlier, and Magnus Carlsen. 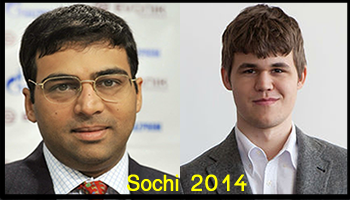 With the charm of Capablanca, the industriousness of Botvinnik and the natural talent of Kasparov, Anand will be a hard man to beat in London in 2010. He lives in Spain with his wife Aruna, who is also his manager. Please click HERE for the Official site and to read about the other players. I’ve read a lot about Philidor the last couple of days as he was – as a chess player – also a great composer of his time. [Of course, if you don’t know it, it was Philidor who said…‘The pawns are the soul of chess.’] I’ve thought to create an entry about research that was carried out about chess and music – and have found some useful information, but very basic and I think we all know that already, but also came across an interesting article…and you can read an extract of it and the complete article on the given link – which is more about Steinitz. So many beginners think about the Pawn as just a piece to move if they don’t know what to move and I sometimes struggle with students not to move their Pawns unless they have to. I think Philidor was a bright spark! He composed beautiful music and played some brilliant chess. The info from Wikipedia is quite interesting. Read why he died in London. Chess is also a game full of strategies which you can apply to your everyday life – as we all know, but there are now companies making use of Chess players to support them in their business and training their staff in Chess strategies in order to excel in the company. 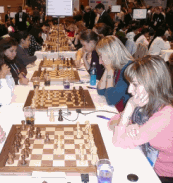 The following quotes about Chess were found on one such Chess Consultant’s site. If you have a Twitter account, you can follow jacobm – as he is such a consultant and these quotes are from his site. 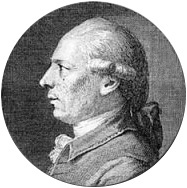 François-André Danican Philidor (September 7, 1726 – August 31, 1795) was a French chess player and composer. He was regarded as the best chess player of his age, although the title of World Chess Champion was not yet in existence. Philidor’s book Analyse du jeu des Échecs was considered a standard chess manual for at least a century. He was commonly referred to as André Danican Philidor during his lifetime. Philidor started playing regularly around 1740 at the chess Mecca of France, the Café de la Régence. It was also there that he famously played with a friend from ‘New England’, Mr. Benjamin Franklin. The best player in France at the time, Legall de Kermeur, taught him. At first, Legall could give Philidor rook odds, a handicap in which the stronger player starts without one of his rooks, but in only three years, Philidor was his equal, and then surpassed him. Philidor visited England in 1747 and decisively beat the Syrian Phillip Stamma in a match +8 =1 -1, despite the fact Philidor let Stamma have White in every game, and scored all draws as wins for Stamma. The same year, Philidor played many games with another strong player, Sir Abraham Janssen, who was then the best player in England, and with the exception of M. de Legalle, probably the best player Philidor ever encountered. He could win on an average one game in four of Philidor, at even terms; and Philidor himself declared that he could only give to Janssen the pawn for the move. In 1754, Philidor returned to France, after nine years of absence spent mostly in Holland and England. He was now a much stronger player, having successfully played with opponent of the calibre of Philip Stamma and Abraham Janssen, but, as G. Allen reports in The life of Philidor, it was not until his match with de Legal in 1755 that he can be considered the strongest player in the world. In England, Philidor astounded his peers by playing three blindfold chess games simultaneously in the chess club of St. James Street in London on 9 May 1783. Philidor let all three opponents play white, and gave up a pawn for the third player. Some affidavits were signed, because those persons who were involved doubted that future generations would believe that such a feat was possible. Today, three simultaneous blindfold games would be fairly unremarkable among many chess masters. Even when he was in his late years, when he was 67 years old (1793), he played and won two blindfold games simultaneously in London. Philidor, both in England and France, was largely recognized in each of this fields and got a lot of admirers, protectors and also friends, like were the French philosophers Voltaire, Rousseau and the famous English actor David Garrick (1717–1779). In December 1792, however, when he was then age 65, Philidor had to leave definitively France for England. He was fleeing the French Revolution (1789–1799), because his name figured on the Revolutionary banishment list, established by the Convention nationale. This was not probably due to his ideas (indeed it seems Philidor was rather reserved about his opinions apart from music and chess), but very likely in view of the traditional attachment of his family to the King’s family service . It was said that the reason why Philidor emphasized the pawns in the chess game was related to the political background during the eighteenth century of France, and that he regarded pawns as the “Third rank” on the chess board (citizens were regarded as the third rank of the society before the French Revolution started in 1789). He also included analysis of certain positions of rook and bishop versus rook, such analysis being still current theory even today. He is most famous for showing an important drawing technique with a rook and pawn versus rook endgame, in a position known as the Philidor position. The Philidor Defense(1. e4 e5 2. Nf3 d6) is named for him. Philidor’s book was the very first (1) that gave detailed annotations on how to play the middle-game, (2) that presented chess strategy as a whole, and (3) that presented the concepts of the blockade, prophylaxis, positional sacrifice, and mobility of the pawn formation. Philidor joined the Royal choir of Louis XV in 1732 at the age of six, and made his first attempt at the composition of a song at the age of 11. It was said that Louis XV wanted to listen to the choir almost every day, and the singers, while waiting for the king to arrive, played chess to relieve their boredom; this may have sparked Philidor’s interest in chess. Listen to the music of Philidor. 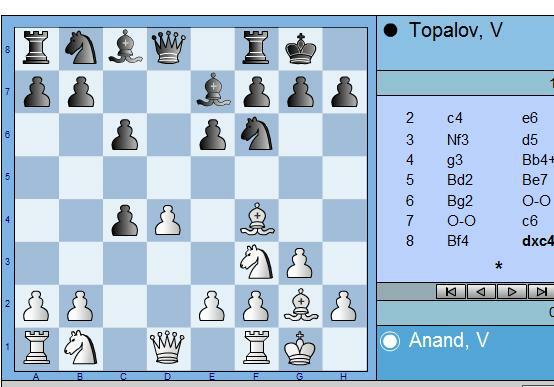 Anand vs Topalov ..the battle continues! Anand is my favourite…go Anand! 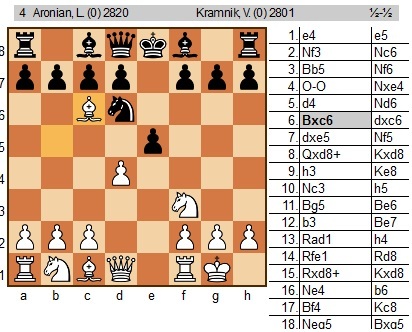 See my other entries HERE and HERE where you can see chess graphics of their other games, especially on the first link. See the Official Website’s link to the sidebar of my blog…top right. 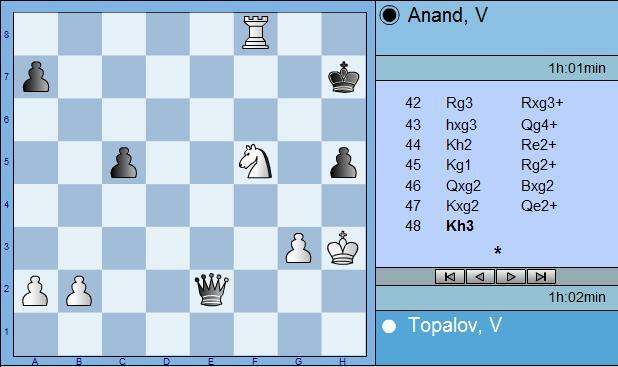 The FIDE World Chess Championship match resumed on Monday with Viswanathan Anand once again having the White pieces, as according to the regulations, the piece colors are alternating halfway through the match. 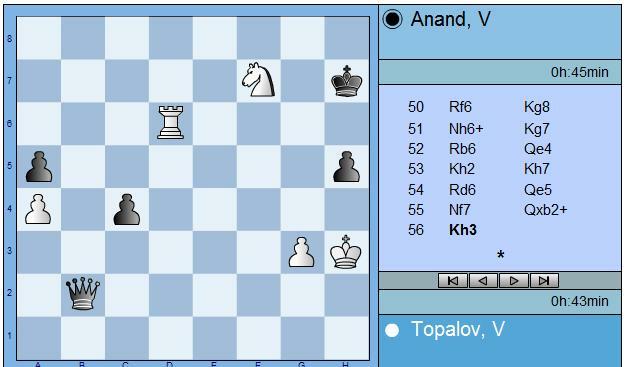 The players seem to be very persistent in thorough investigation of the Catalan opening, as the same setup appeared four times when Anand had White pieces. 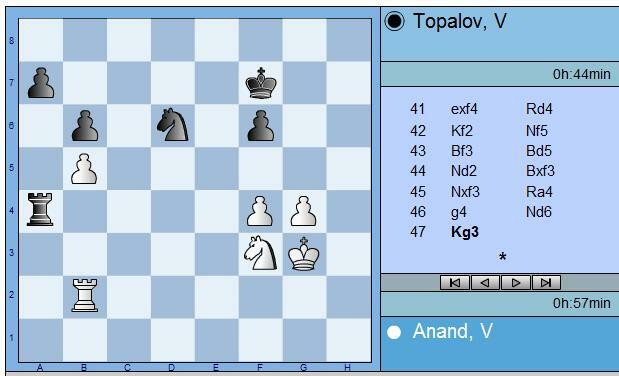 Once again Topalov switched the variation, and included 4…Bb4+ instead of 4…dxc4. Later on, instead of the almost automatic 8. 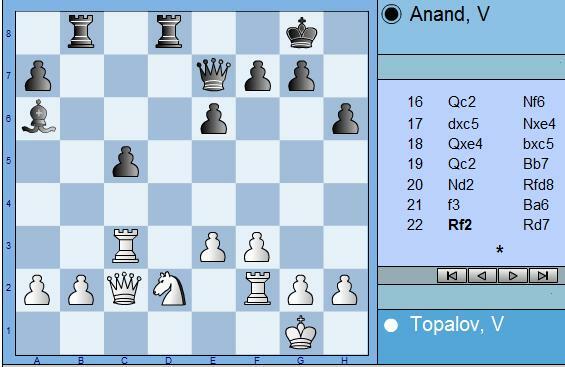 Qc2, Anand preferred the rare 8. 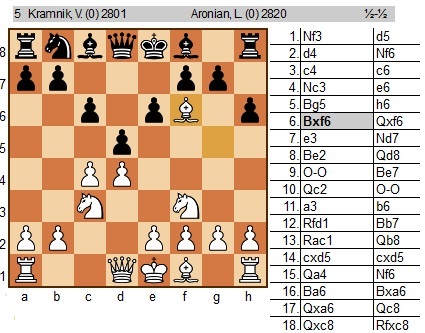 Bf4, which prompted Black to immediately capture the pawn on c4 and then hang on it with b5. 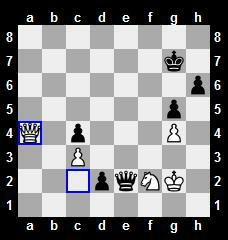 The similar position was seen in the encounter Gelfand-Ivanchuk. 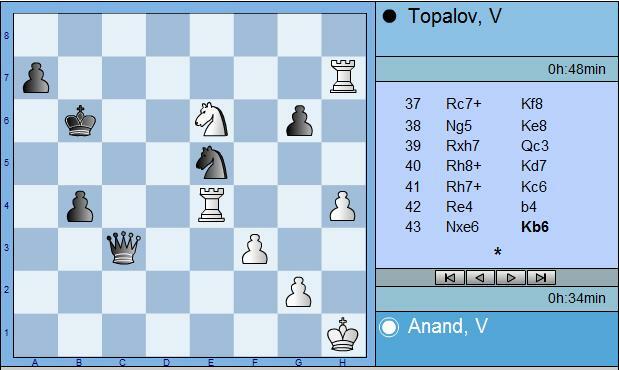 Topalov varied from that game by playing 11…Bd7. 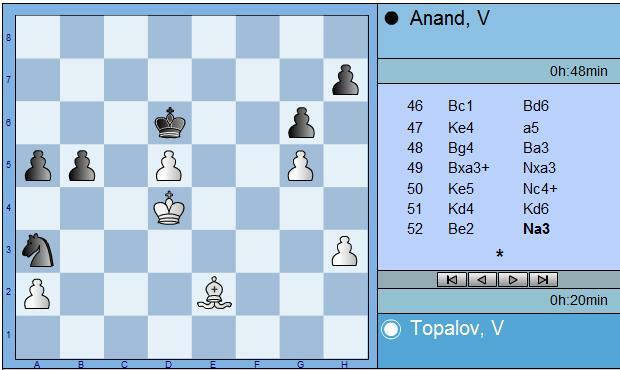 Anand accepted the gift in the view of exchange on a8, and the game became highly imbalanced as Black caught up the initiative. 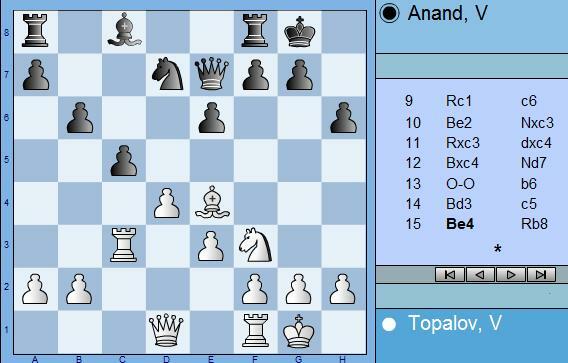 A timely opening of the a-file and breach to the 7th rank gave Anand solid counterplay. 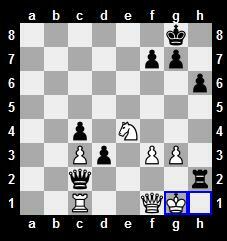 After the exchange of the Bishops, it appeared that White managed to stabilise and block the dangerous d-pawn. 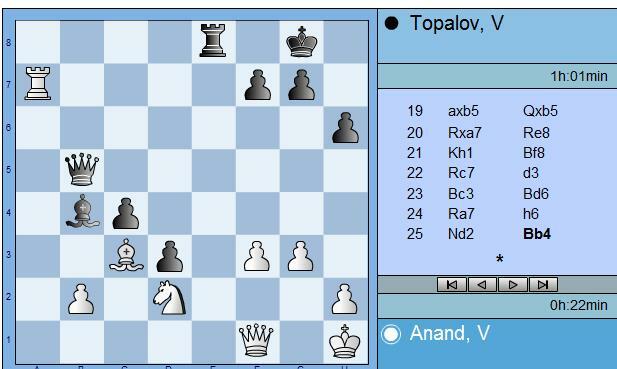 Topalov brought his heavy artillery to the 2nd rank, but could not achieve more than perpetual check as White kept the enemy Queen under contact attack. 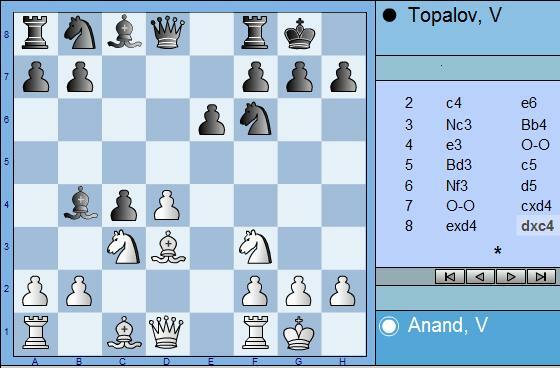 But Anand refused the possibility of perpetual, on two occasions, and continued to fight for more. Nevertheless, the Black passed pawn demanded lots of caution, and White was unable to gain more with the Knight burdened on f2. The draw was finally agreed on move 58. 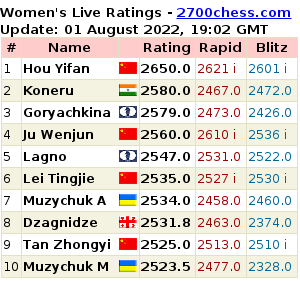 Game eight is taking place tomorrow, with Veselin Topalov playing the White pieces. Live commentary at the official website is starting at 14:45 local time. 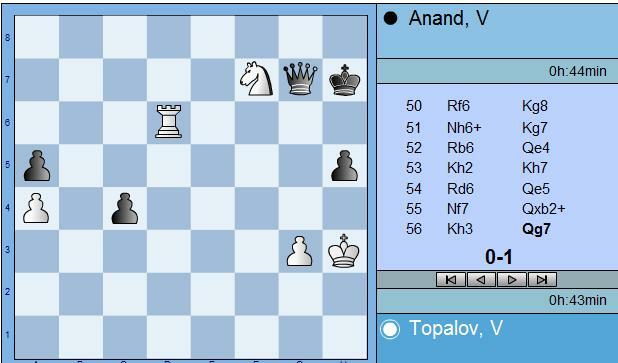 Results: Anand retains his title!! YIPPEE!!! The last classical game of the FIDE World Chess Championship was opened with Lasker variation of the Queen’s Gambit Declined as Viswanathan Anand sought for a solid defence in which White would have only minimal chances to score a victory. 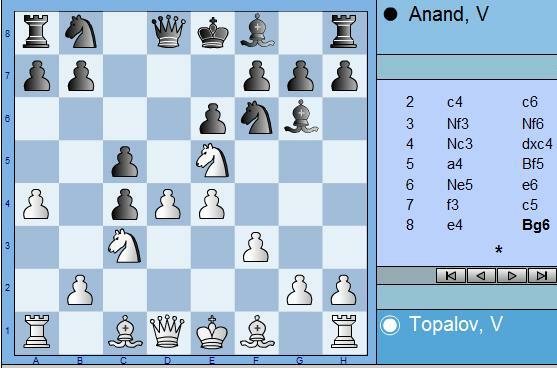 The opening went quietly until Anand moved the slightly unusual 16…Nf6. This was the moment where Veselin Topalov took a bit longer to decide on the middlegame plan. 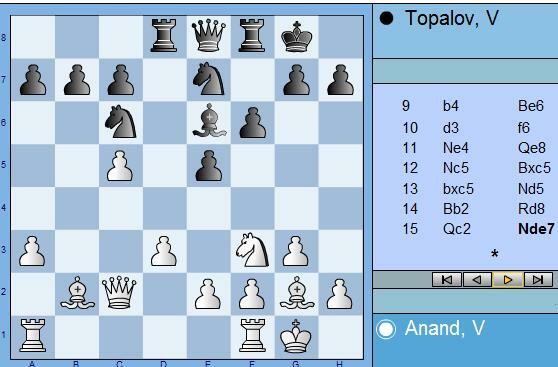 Topalov allowed Black to trade the Be4 and in return he forced an isolated pawn on c5. But is was not easy to besiege this pawn as Black successfully coordinated pieces and obtained excellent counterplay. 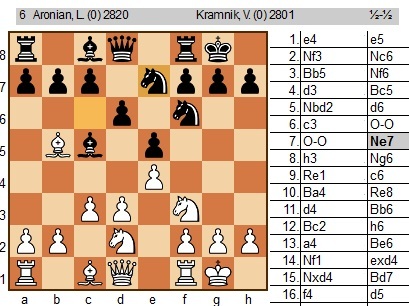 White took some time to consolidate the position and avoid tactics on the back-rank and against the Knight on d2. 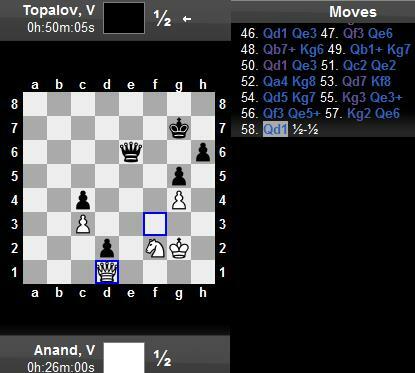 Anand silently offered a moves repetition with Bd3-a6, but Topalov snubbed the offer. 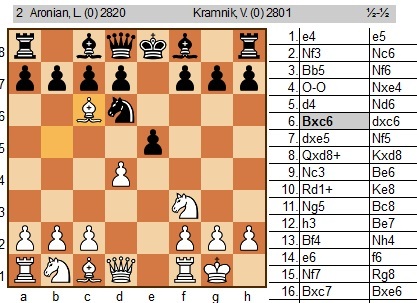 White established the Knight on c4, while Black Bishop possessed a long diagonal from a8. 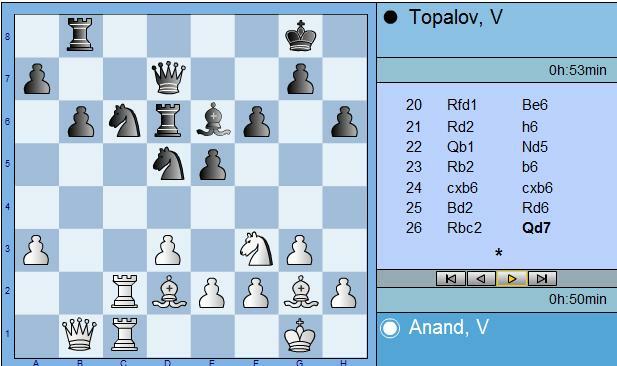 Exactly in this moment, Topalov erred in an attempt to prevent Black’s e5-e4. 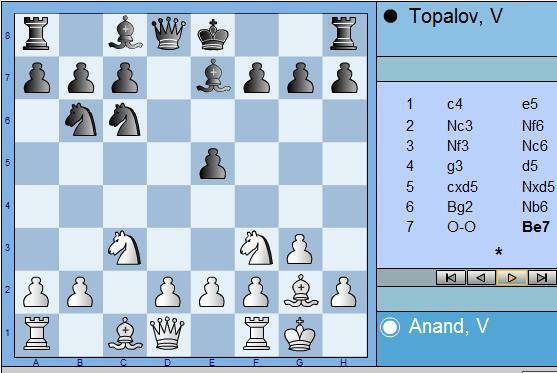 He played e4 himself, but Anand did not hesitate long before breaking the formation with 30…f5 and 31…e4. 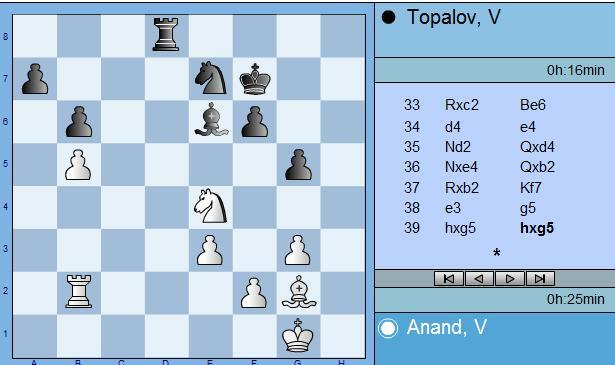 Topalov carelessly traded the pawn on e4 and fell under a strong attack. 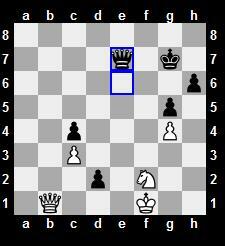 The Black battery Queen-Rook-Bishop worked perfectly in the pursuit after White King. 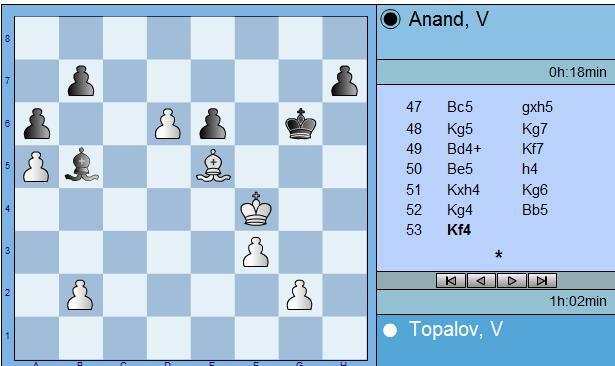 It looked like the game was over, and even Anand admitted that he couldn’t see a defence for White, but Topalov found some remarkable resources and managed to prolong the game. 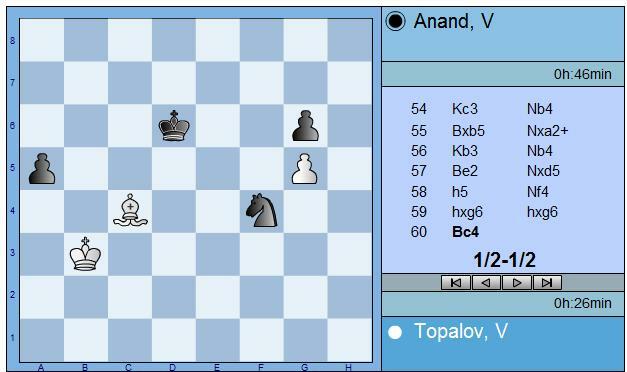 But with a series of precise moves, Anand managed to convert the advantage and bring victory home on move 56. The final score is 6,5:5,5. 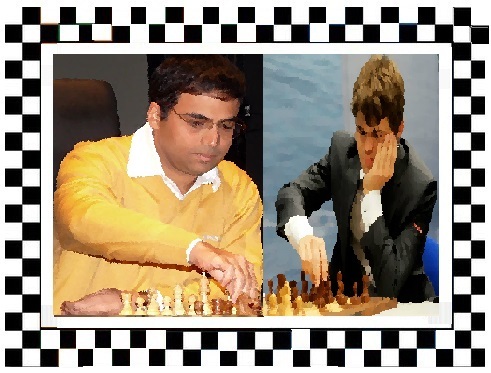 Thus Anand retained the title of the World Chess Champion! Congratulations! Headless London pawns lined-up – standing vigilant – for McShane’s and Howell’s game? It was great to see these GM’s in real life, they are all great people and great players. It was great to see them playing live on the stage, to see how they respond and their reactions during a tournament. 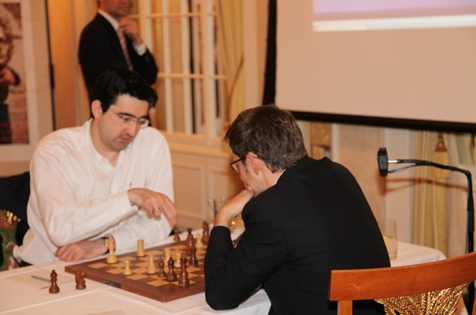 I was very excited to see them as Kramnik is one of my favourite players. Carlsen too, as he’s young and many students can associate with him and he can be of an inspiration to many young players wanting to reach their goal of becoming a GM too? On this photo I’m sitting on the right at the far end – you can’t see me! but you can see hubby on the left. The photo is from the official site. We played three games. We arrived at about 12:15-ish and played till about 13:40.